At Millennium Family Dental, we provide convenient orthodontic treatment utilizing Invisalign® clear braces. Our Plainfield dental practice is equipped to provide custom for patients looking to straighten their smiles without compromising aesthetics. As a preferred provider, Dr. Risty has the experience needed to create the results you’re looking for. Clear braces are the modern way to achieve a uniform smile. Contact our dental practice today to schedule an Invisalign orthodontics consultation! 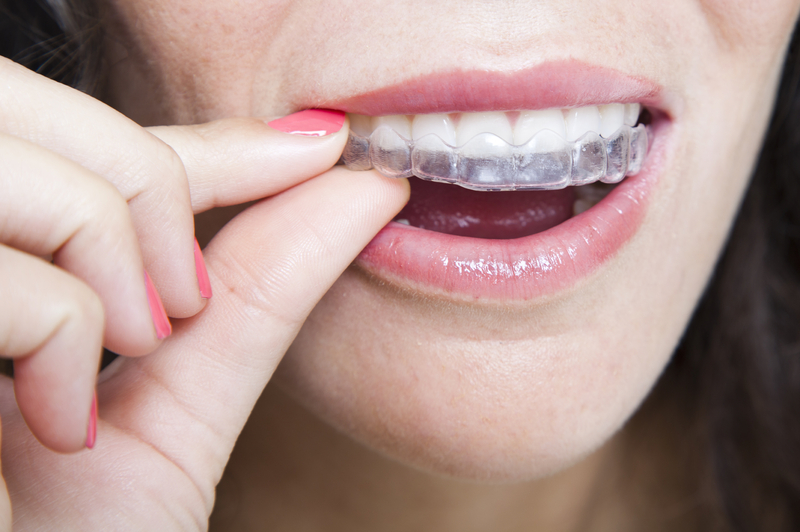 Our Plainfield dentist applies Invisalign aligners to treat cases of misalignment and malocclusion --- creating not just a beautifully straight smile, but a healthy bite as well. Fabricated to be nearly invisible these removable clear aligners straighten patients’ smiles without much impact on their daily lives. If you have an upcoming major event such a presentation or a wedding, Invisalign clear braces provide inconspicuous straightening treatment. There are no diet restrictions or need to change your at-home oral care routine. Patients are advised to remove their aligners before they eat any food and to rinse their mouths before wearing aligners after meals. Not doing so causes leftover food to become stuck between teeth and trays, increasing the risk for cavities. Brushing and flossing your teeth can be done without any inconvenience; simply remove the aligners beforehand. At Millennium Family Dental, our practice is equipped with an iTero® digital scanner to showcase your Invisalign treatment plan and create mess-free digital impressions. Through the digital scanner, you can view your future smile and determine with if this is the option for you. With your approval, we will request aligners from Invisalign’s laboratory, and every two weeks you’ll receive a new tray, which gradually straightens your smile. Patients should wear their clear braces for 20-22 hours a day for optimal results. At every check-in, Dr. Risty takes a scan of your smile to ensure that treatment is progressing as planned. We are dedicated to helping patients achieve brighter, uniform smiles. If you are interested in clear braces in Plainfield, contact Millennium Family Dental and schedule your consultation!